Spider-Man is an American Icon the most popular superhero of all time. If you are going to reintroduce the story in an Ultimate Universe and remake the hero you had better do it right. In the suggestion that they rewrite the early days of Peter Parker and Spider-Man, Marvel Editor-in-Chief Joe Quesada was skeptical because 1998’s Spider-Man: Chapter One, a previous attempt at re-envisioning Spider-Man’s early adventures, had failed both critically and commercially. But the first several issues were greeted with enthusiasm from fans and critics, sold well, and gave Ultimate Marvel a boost in credibility. Ultimate Spider-Man #1 was the first of the Ultimate Universe and led to the introduction of Ultimate X-Men, the Ultimates, and Ultimate Fantastic Four. Ultimate Spider-Man began the Ultimate Marvel line. Publisher Bill Jemas wanted to reinvent the Marvel Universe because he felt that, with over 40 years of back-story, it had become inaccessible to new readers, and he wanted to start with a reinvented Spider-Man. Ultimate Spider-Man is about a 15 year-old high-school student named Peter Parker. On a field trip to Norman Osborn’s lab, a spider that was genetically altered by Osborn’s Oz formula, escaped captivity and managed to bite Peter on the hand, but was then killed by Peter’s classmate Kong. After the bite, Peter began to feel sick, but eventually, he received the proportional strength of a spider, a spider-sense, increased agility, and the ability to cling to walls (He also created web shooters that shot compressed liquid which becomes virtually unbreakable elastic webbing). A conflict in school leads to Peter breaking classmate Flash Thompson’s hand. He decided to join a wrestling league and with his new powers, he won money to pay for Flash’s medical bill to avoid getting sued. On his way home, he passed up a deli that was getting robbed. He could have stopped the burglar but he decided to let him by, feeling that it wasn’t his problem. When he got home, he was told his Uncle Ben was killed by a robber. He put on his mask and went out to find the robber, and Spider-Man was born. The comic began in October 2000 and ended in June 2009 with Issue 133 by Brian Michael Bendis, Mark Bagley, and Stuart Immonen. A second volume titled Ultimate Comics Spider-Man began in August 2009, written by Brian Michael Bendis and penciled by David Lafuente. The original series included 3 Annuals titled Ultimate Spider-Man Annual, and two Requiem issues titled Ultimatum Spider-Man: Requiem also written by Brian Michael Bendis. 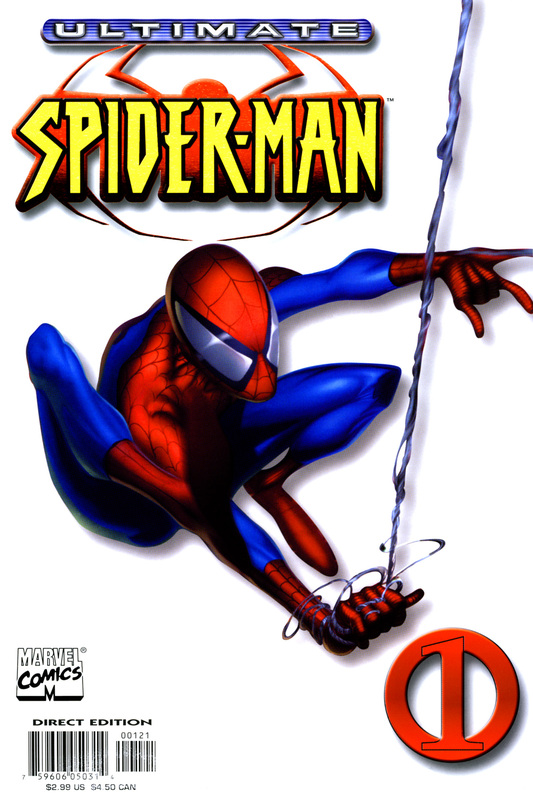 Ultimate Spider-Man rivaled the regular Marvel Spider-Man title in sales and grew to outsell Amazing Spider-Man on many occasions. The sales stayed strong, helped by the fact that Bendis and Bagley quickly found chemistry and enjoyed working together. 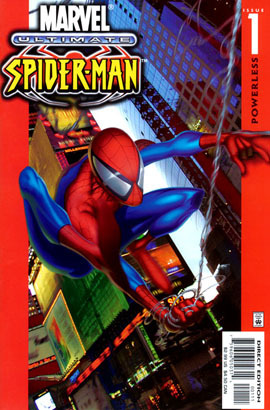 Ultimate Spider-Man #1 was voted the “ninth-greatest Marvel Comic of All Time” in 2001 by readers of Wizard: The Guide to Comics. The comic version of Spider-Man was encouraged and introduced to many new readers by the remake of the hero and the Spider-Man movies in Spider-Man (2002), Spider-Man 2 (2004), Spider-Man 3 (2007). Readers have been bitten with the Spider-Man mania and I think there is no cure. Like me in the fifties and sixties of the last century, comics will forever be an enjoyable part of their youth. Mark Bagley, was born to a military family in Frankfurt, Germany. He had always wanted to break into the comic book business. After his work in the military and art school (at Ringling College of Art and Design), Bagley continued trying to break into the comic industry but ended up working for Lockheed Martin making technical drawings. In 1983, Marvel Comics Editor-in-Chief Jim Shooter created the Marvel Try-out Book to draw new talent into the comic book industry. The contest involved a deconstructed comic book which contestants could complete and submit to Marvel. The winner would be awarded a professional assignment with Marvel. At 27 years old, while living in Marietta, Georgia, Bagley entered the contest and won first place for penciling, beating out thousands of other hopefuls. This led to a series of low-profile penciling jobs, including Visionaries, a comic book based on a 1980s toy line, books in New Universe line, and backup stories in Captain America. A majority of Bagley’s work during this time was for the first series of Marvel Universe trading cards. In the year 2000 Mark was assigned Ultimate Spider-Man with writer Brian Michael Bendis. 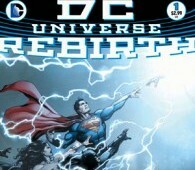 The title was an instant hit and soon turned from a limited series to an ongoing series by Bendis and Bagley. They went on to enjoy the longest continuous run of any creative team on a mainstream Marvel superhero comic, beating the record set by Stan Lee and Jack Kirby.